How Long to Keep Employment Applications on File? An employment application gives managers important information about a candidate for hire. It can also provide valuable information in the future if questions are raised about the person hired to fill a job, or about why any particular candidate was not hired. Maintaining good employment records can help protect an employer in case a lawsuit is filed against the company. All interview notes and employment application questions should contain relevant notes to facilitate a hiring decision. It is a good idea to keep employment applications for individuals that work for the company for the duration of their employment, plus an additional 2 years after employment has ended. You should keep all the applications you receive in response to any posting or advertising you do for a job vacancy. If, at some time in the future, an unsuccessful applicant alleges that you were discriminatory in rejecting her application, you may be required to produce her application and explain objectively why you didn't consider her. The law generally requires that you keep these applications for two years. You may also receive unsolicited applications, either in the mail, in person, or via the Internet. 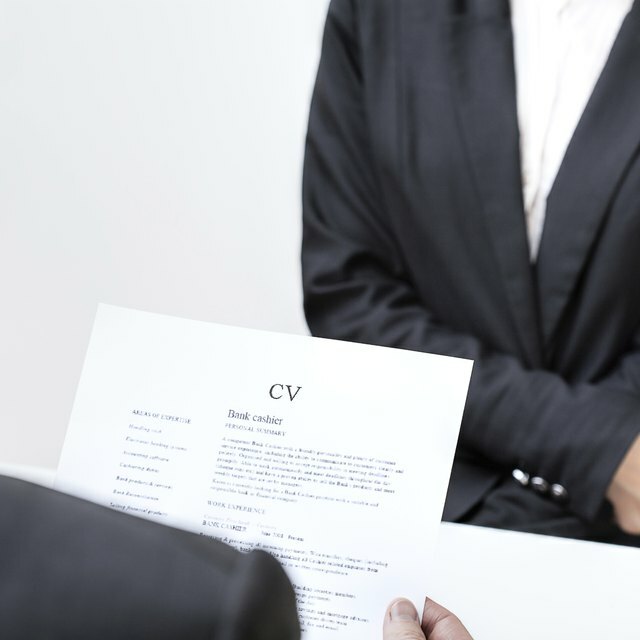 This is often a very useful source of candidate data, and inviting someone in for an interview on the basis of an unsolicited application may save you a great deal of time and money when it comes to filling vacancies, especially those that are unexpected. Doing so, however, validates unsolicited applications as an avenue to employment with your firm, and all unsolicited applications acquire the status of legal documents that you must keep on file. The law is a little less clear on how long to retain unsolicited applications, but HR professionals recommend you use the same 2-year standard as for solicited applications. What Is the Main Purpose of a Resume & Application in a Job Search? Whi;e applications of unsuccessful candidates may provide a starting point for filling the job the next time it becomes vacant, the main reason generally given for retaining applications is their potential value in defending against a lawsuit. Various federal and state laws prohibit discrimination in hiring for a variety of reasons, including age, gender, religion, national origin, disability which does not interfere with the performance of the job, and marital status, among others. Unsuccessful job applicants sometimes allege that they were discriminated against in the hiring process. Your best defense against such charges is to produce the original application and accompanying material, as well as the contemporaneous notes you made on the application. If you follow best recruitment and hiring practices, that material will provide objective justification for your not having hired the applicant.